Crunches are as comfortable as they are effective with extra thick and durable Durafirm seat pads. The days of dreading crunches and situps on a cold, hard, unforgiving floor are over. 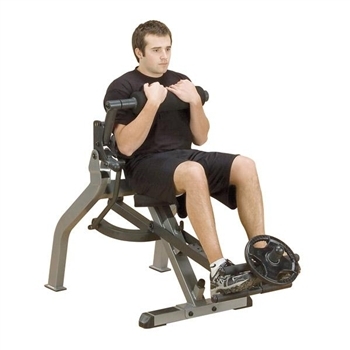 Make ab work more effective, comfortable and exciting with the new Crunch Bench by Body Solid. Backed for a LIFETIME of use by the best warranty in the industry.